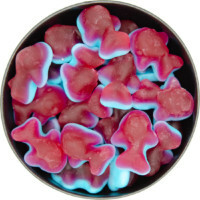 Combining your favourite fruity flavours we created an assortment of delicious gummy butterflies. 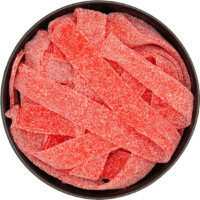 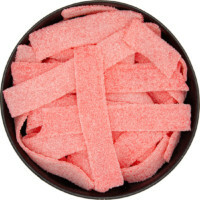 Each fun shape offers a super smooth chewy texture and a duo of complementary tastes that make a great break time pick me up or anytime treat. 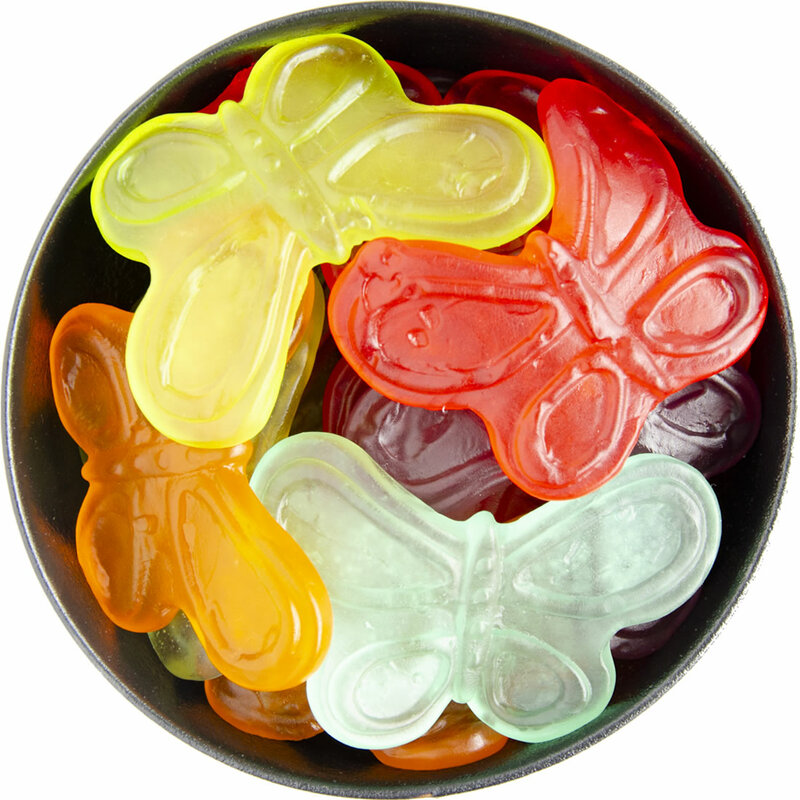 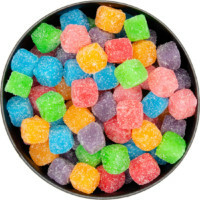 Glucose Syrup (From Corn), Sugar (From Beets), Water, Gelatin, Citric Acid, Natural And Artificial Flavours, Pectin (Derived From Fruits), Vegetable Oil (Coconut, Canola) And Carnauba Leaf Wax (To Prevent Sticking), FD&C Red #40, FD& C Yellow #6, FD&C Blue #1, FD&C Yellow #5.